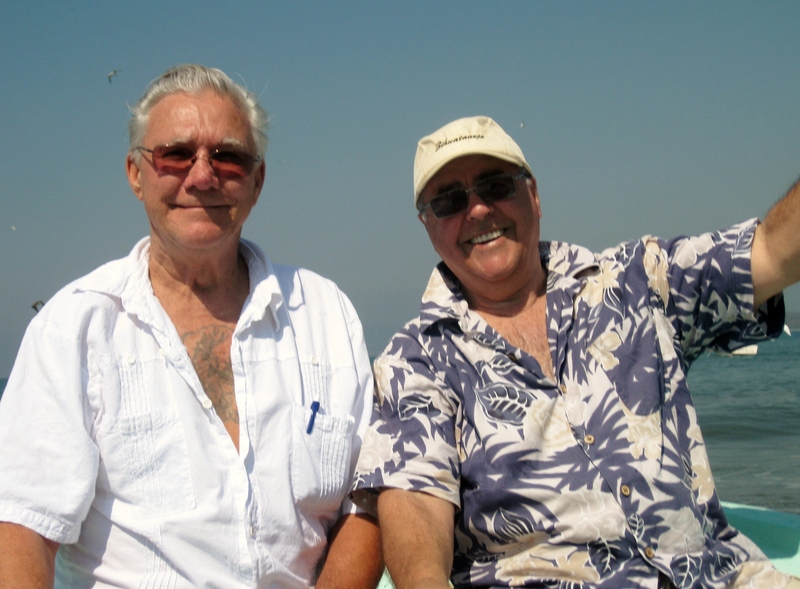 As we get more and more experienced here is Zihuatanejo we have learned that a day at the beach is exhausting. Sun and fun and beer and Tequila just wear you out. So I had planned a crock pot dinner of ribs as I was pretty sure the Senor would not want to dine out and I knew I would not want to cook upon our return. So before we left the ribs were slow cooking in the crock pot. 4 would ride in Juan’s car to Playa Linda were we would all meet to ride to the island in his boat. The Senor and I have always caught the bus at a certain spot so we led the pack, only to find out there is a closer location that would have cut the walk way down eliminating about 4 blocks. We arrive at the bus stop hot and tired but as luck would have it the bus arrived right away and with the windows down, we cooled down and were ready for an adventure. 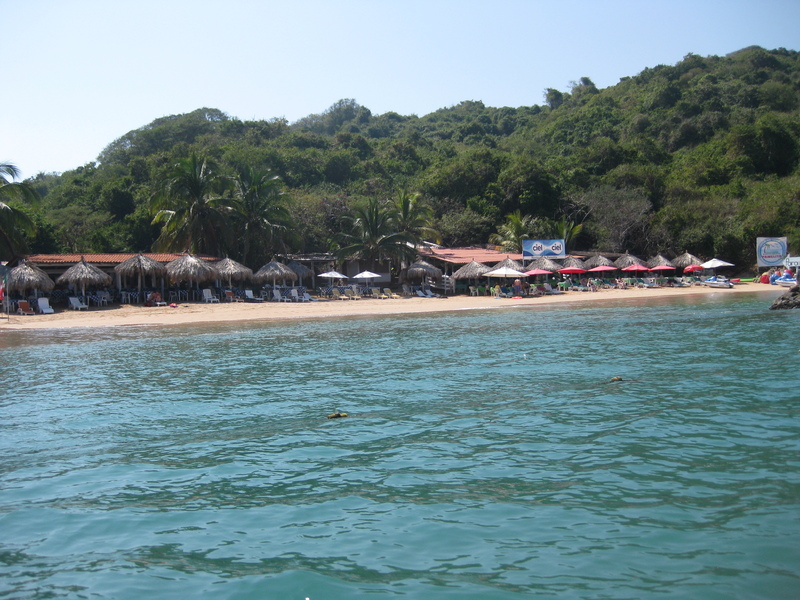 It’s probably a 30 min ride from Zihuatanejo to Playa Linda the stopping point for getting the water taxi to Ixtapa Island. Having been there before I was aware of the multitude of colorful fish and brought fish food and an under water camera. Always before we rode the water taxi, but this time we were leaving from the beach and landing directly on the beach at Pariso Escondiso. 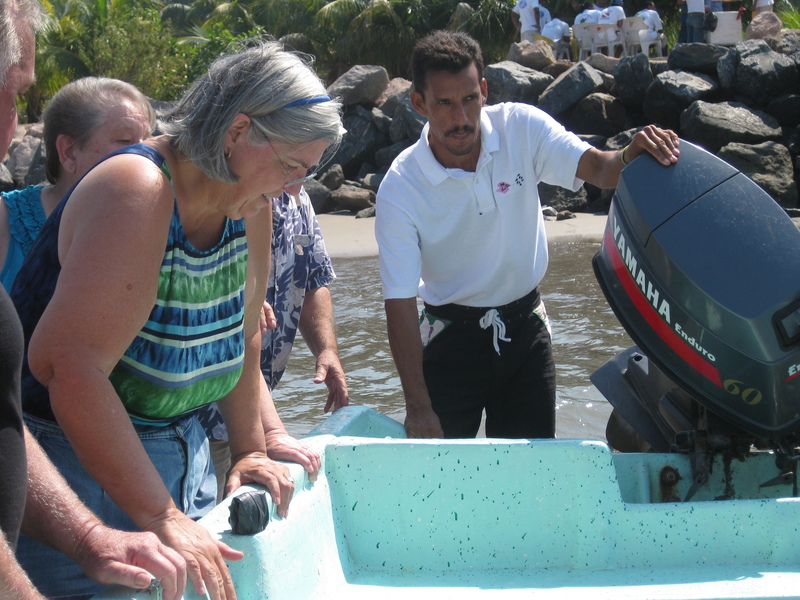 Well not exactly on the beach, we had to wade out a bit and then climb into Juan’s boat. But soon all were all settled and ready for our adventure but it took some pushing and pulling and rearranging the load and the right wave action to get us off the sand. As a group we are not lightweights! The Senor and Dwight rode up in the bow and the rest fit in anywhere we could for a total of 12. a quick trip to the island and soon the boat was beached and we only had to wade a little to get to shore. Soon we had acquired beach chairs, and lounges under palapas and umbrella’s. We ordered our drinks, our lunch, swam, snorkeled, laughed, told stories, poked fun at one another and generally had a great day. 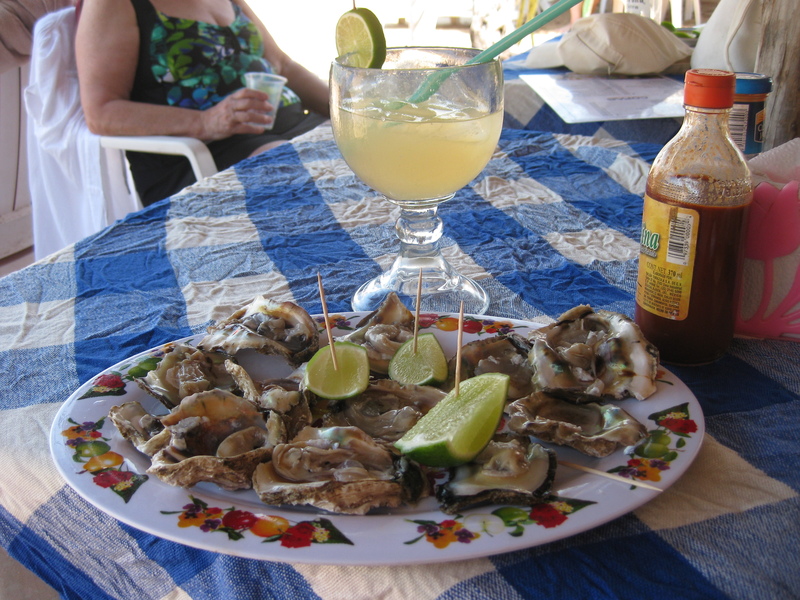 The senor and I live in the Pacific Northwest where oysters are prevalent and tasty. When we order oysters in the shell they are steamed or grilled open and that’s what we were hopping for, but ours arrived raw. I enjoy one or two that way, but not a whole dozen. We sent them back and asked them to be breaded and fried. They were good, just not great. Our mistake. All in all everyone had a great meal and a great afternoon. Our generous host even treated us to a couple of shots of some very nice tequila. My snorkeling didn’t offer me the opportunity for any underwater picture-taking as the multitudes of colorful fish live on the other side of the island. I could have easily walked the path to the other side and done some snorkeling, but I was enjoying the company and there will be other opportunities.